8’x2′ – Printing Full Color 13 oz Scrim Vinyl Outdoor Banners. With the progress in printing full color vinyl outdoor banners and outdoor ink technologies, more and more businesses prefer our 13oz scrim vinyl outdoor banners as their signage and outdoor advertising needs. Our large volume in printing allow us to offer full color vinyl outdoor banners at a low-cost. 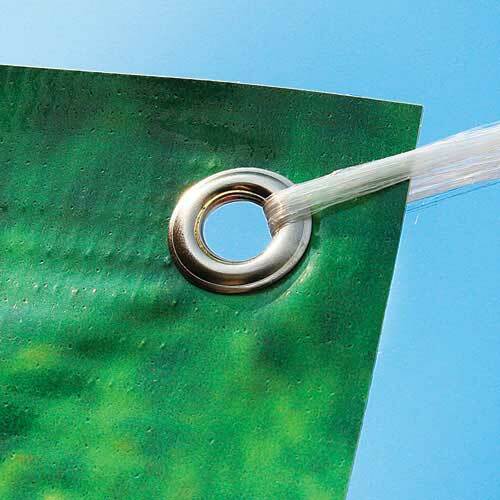 The features we offer on our banners are grommets and hems that make the banners easy to hang and durable. 8’x3 – Graphic Design On Outdoor Banners Will Draw Attention of the Masses. Our full color outdoor banners if they’re designed well will draw attention of the masses. Many businesses pay a special attention to the graphic design on their outdoor banners. No need to mention that a professional graphic design on outdoor banners will spread your message in the community a lot more effective than poorly designed banners. 8’x4′ – Grommets for Hanging and Installation and Hems For Extra Durability. We can print any size of full color outdoor banner within 150’x16′. 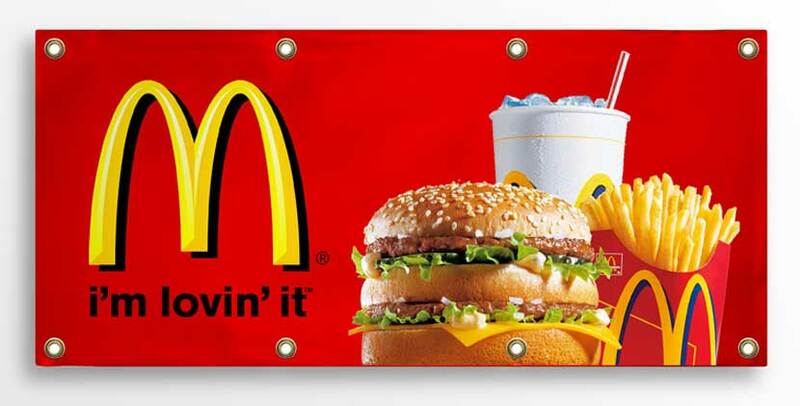 Depending on your requirements we can apply grommets on every corner or every 2′ for hanging and installation. Our banners are durable in any weather condition but if you require extra durability we can add hems on top and bottom or all four sides of the banners.